Chitwan National Park, due to its opulent beautification of nature and wildlife this park was declared as World Heritage Site by UNESCO in 1984 and is one of the attractive tourist destinations. 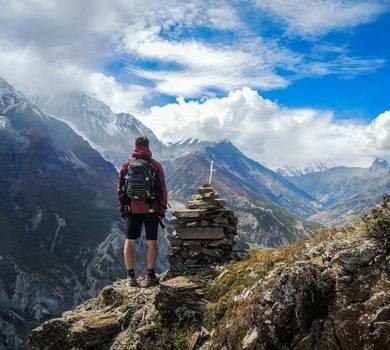 The country with geographical rich and with a wide range of ecosystem from the arctic conditions of the Himalayas to the sub-tropical jungles of the Terai is one of the naturally gifted nations – Nepal. This was the first national park of the nation which was known as Royal Chitwan National Park before. This park covers an area of about 932 km2 which altitude ranges from about 100m in the river valleys to 815m in Churia hills. Chitwan National Park is the habitat for the different kinds of species that are providing their prime role in maintaining the uniqueness of the national park. The rivers like Narayani, Rapti and Reu rivers are providing a wilderness of opulent ecosystem that includes water animals, mammals, birds, and reptiles. The typical vegetation of the area or Inner Terai is Himalayan Subtropical broadleaf forest with at least 70% of the covering by the sal trees. With the wide range of the vegetation in the national park is the habitat for more than 700 species including 56 mammals, 539 birds species, and 49 amphibians and reptiles and yet not surveyed number of insects, butterflies and moth species. There are around 600 plant species including the fruits of which the RHINO like much – Rhino Apple Tree. The main focus here goes for the Asian one-horned Rhino (412 in numbers) and Royal Bengal Tiger (59 in numbers), are also the endangered species which are being the part of the Chitwan National Park nature. Other living together and sharing the same environment are wild dogs and cats, gaur, wild boar, leopard, deer, and rhesus monkey. The Gangetic crocodile which is also known as long-snouted gharial is the endangered reptile that is being lived in the rivers attach in the national park. A rare attraction of the park is the world’s fresh-water dolphin sometimes seen in River Narayani. The most influencing cultural values of the Tharu society have added the place full of brightening the color. The Tharu cultural dance is the most interesting cultural showpiece from which the many outsiders get love with it and the most exciting thing while visiting this Park is the eye-catching view of RHINO, which sometimes passes peacefully through the community. The elephant breeding farm is also located in this area and also the museum which contains the fossils of different animals and collects information regarding the National Park. The activities that are legalized in this park includes jungle safari on elephant back, jungle walk, jeep drive, canoe ride and to get the experience of Tharu culture. These activities make one’s time to get enjoy with nature with its unique flora and fauna. According to the weather analysis, the best season to explore this national park is Oct-Mar (average temperature 25 degree Celsius), Apr-Jun (hot, up to 43 degrees) and Jul-Sep (rainy). Massif Holidays is the team of well-experienced people and working on this field from a decade, organizes the treks and tours in several places including CHITWAN NATIONAL PARK. Feel comfortable to Contact US.